This is a hot yoga class linking breath to movements with unique and fun sequences. Music is played during this class. 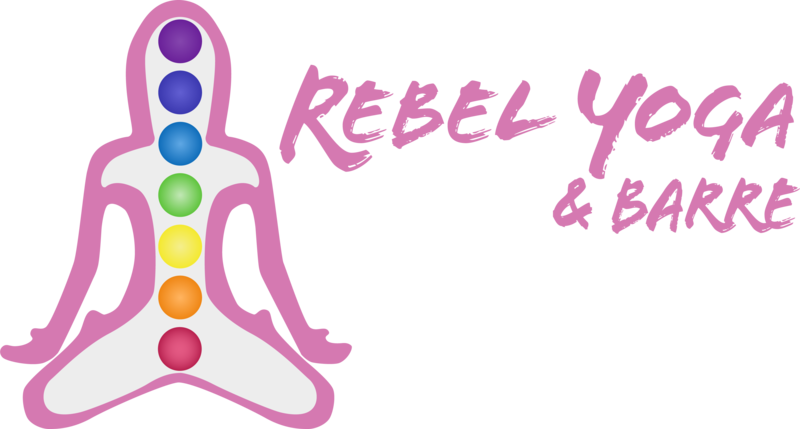 All levels are welcome but if you have never practiced before we encourage you to take our Rebel Yogi in Bloom course. This class combines traditional barre (ballet) movements in fun and challenging ways. We firmly believe in embracing the shake and by focusing on small muscle groups and small movements we can target those deep muscles and transform your body. This class uses light weights, resistance loops, and bootybarre® balls to sculpt and tone the upper and lower body. This class is our version of yoga sculpt. We use traditional yoga postures combined with weights and include cardio as well as dynamic lower body sequences. The result is a body that feels amazing! We also incorporate resistance loops and barre movements to make each class unique and engaging. This 3-day workshop is the perfect stop on one’s yoga journey. You will complete the course with the basic knowledge and ability to begin a yoga practice. All students receive take home materials to encourage home study and practice. A student can also enroll if they would like to deepen their knowledge on yoga alignment and vocabulary.